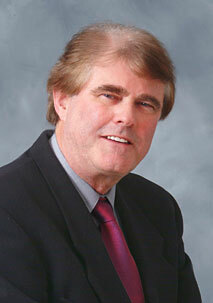 Dr. Patrick Gullane was born in Ireland and received his MB Degree from Galway University in 1970. He then embarked on a surgical career obtaining his Fellowship in Otolaryngology-Head and Neck Surgery from the Royal College of Surgeons of Canada in 1975 and in 1976 was Certified by the American Board of Otolaryngology-Head and Neck Surgery. In 1975 he was selected as the McLaughlin Fellow and then pursued advanced training in Head and Neck Oncology with Dr. Sebastian Arena in Pittsburgh, and Drs. John Conley and Marquis Converse in New York. In 1978 Dr Gullane was appointed to the Department of Otolaryngology-Head and Neck Surgery at the University of Western Ontario and in 1983 he was recruited to the Department of Otolaryngology-Head and Neck Surgery in Toronto. In 1989 he was appointed as Otolaryngologist-in-Chief at the University Health Network, in 1997 as Wharton Chair in Head and Neck Surgery, Princess Margaret Hospital and in 2002 Professor and Chair Department of Otolaryngology-Head and Neck Surgery, University of Toronto. 1992 – Awarded the “Commemorative Medal for the 125th Anniversary of Canadian Confederation”. Facilitated the establishment of 4 University Chairs in Head and Neck Oncology and Reconstruction from private funding donations in excess of $12.5 M.
2005-06 – Served as Vice-President, Eastern Section of the Triological Society. Member of numerous Medical Societies, both Nationally and Internationally and he has been invited as a Visiting Professor to over 42 Countries lecturing on all aspects of Head and Neck Oncology. He has delivered over 650 presentations Nationally and Internationally and serves on the Editorial Board of 10 Journals. Collaborator of numerous research grants (8 ongoing) receiving funding from various Agencies, including NCIC and NIH.